At Lightfoot Plumbing, we pride ourselves on delivering quick and efficient plumbing solutions time and time again. Our Aledo Plumber and his technicians have over 20 years of experience, which is why we know that they are fully qualified to handle any plumbing job you may require. If you need a plumber in Aledo for residential or commercial services, simply get in touch. We are available for all types of calls and have experience in handling a wide variety of problems. With these services and more, you know you won’t have to worry about where you can find a professionally licensed plumber in your area. We handle all jobs no matter how big or small. 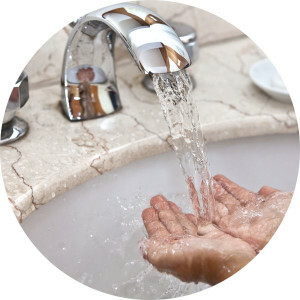 Why Choose Lightfoot Plumbing in Aledo? We pride ourselves on delivering the absolute best customer service in Aledo, Tx, no matter what services you may require. We don’t want you to have to suffer through another minute of leaking pipes or clogged drains. If you are experiencing problems with your plumbing equipment or fixtures, simply give our Aledo Plumber a call, and we will be on hand to help. Need a Plumber in Aledo? Call Lightfoot Plumbing Today! Residential and commercial property owners across Texas have relied on Lightfoot Services to deliver professional quality for over 20 years. From Aledo to Weatherford Texas, right down to Fort Worth, Burleson, and Granbury, we are proud to offer all types of service solutions no matter how big or small the job may be. If you need a Aledo Plumber for routine checks and maintenance, or suddenly require expert Plumbers in Aledo for an emergency toilet repair, simply give us a call to schedule an appointment. We are on hand to help 24/7, so don’t be afraid to call us any time of day or night.